Planning a wedding means making some big decorating decisions. 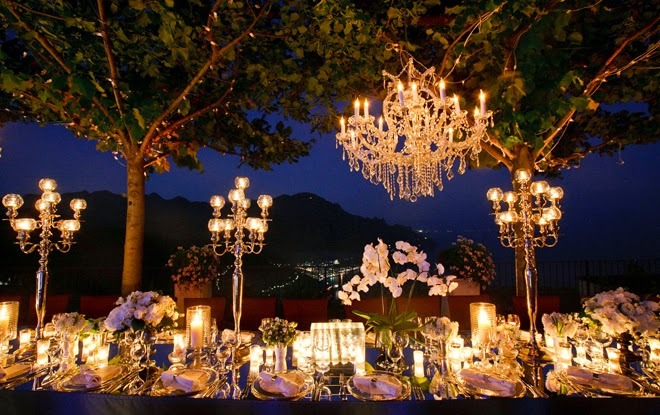 Using wedding lights will add ambiance, brilliance and romance to your wedding decor. Here are some of the choices available to make your special day shine. Add a dramatic and elegant touch to your wedding décor using wedding light displays. Wedding light displays come in a variety of styles and colors. Some favorites include bells, doves and hearts. There are also roses and even cupid styles. Just plug them in and you've got a spectacular lighted wedding decoration. Most wedding light displays are for indoor or outdoor use making them an easy way to decorate. Place one above the wedding party's table, over the entry way to the reception area or near the dance floor. Accent them with some string lights on white wire and you've got a truly beautiful wedding decoration. As an added benefit, wedding light displays can also be used at Valentine's Day. Once you see how beautiful these displays are, they will be the first decoration up next holiday season! Clean and classic, these wedding lights add luminescence and elegance to your wedding décor. Their decorating uses are limited only by your imagination. White wedding lights are available in incandescent or LED and come in mini, globe, C6, C7 and C9 styles. The difference between incandescent and LED is economy and safety. LED wedding lights are more expensive but run cooler than incandescent. LED lights also use about 80% less electricity than incandescent, so they pay for themselves over time. Also, LED wedding lights have a much longer bulb life than incandescent, reducing the expense of replacing worn out string lights. With the right accessories, LED wedding lights make a brilliant ceiling-to-floor display or a wonderful accent to the rope light sculptures. 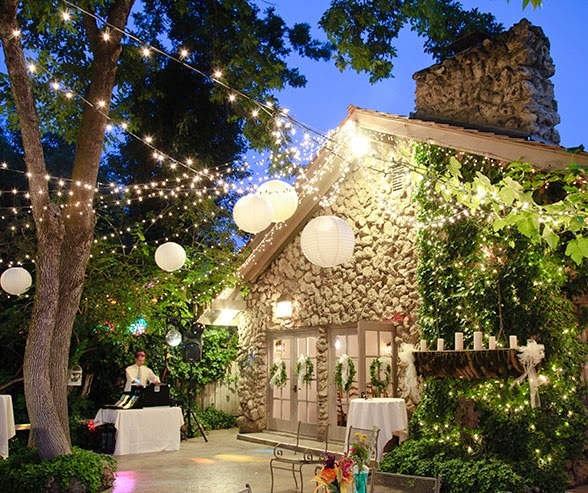 Mini wedding string lights are best used as accents around windows and doors. If you are planning an outdoor wedding these lights make great arbor accents. Nesting them in the arbor's foliage creates a starry canopy for the bride and groom. Here's a quick and easy wedding decoration idea. Loosely wrap (like a cigar) a string of LED mini wedding lights in tulle and place along the edge of a table top. You've created a gorgeous wedding decoration in just a few minutes. Globe, C6, C7 and C9 wedding lights are best for exterior or perimeter applications. Globe wedding lights come in two sizes (G12 and G25). 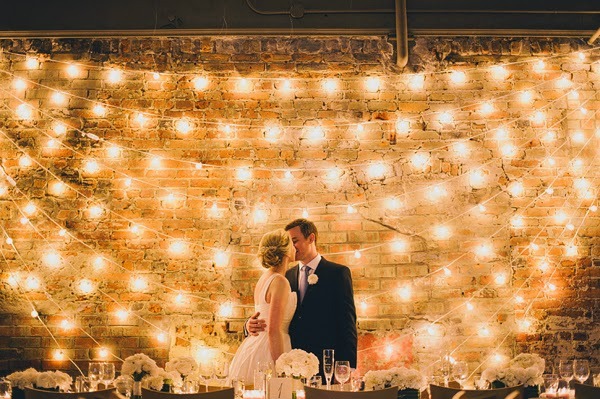 Globe wedding lights can be used as room accents like around the tops of walls or windows. No matter what type of wedding lights you use, it is a good idea to buy an extra strand or two just in case of emergencies (the nervous bride will be forever grateful). Also, plug all the lights in to ensure they are working properly. A little preventative measure goes a long way. Keep your wedding decorating tasks minimal and still make your guests think you've spent countless hours creating the perfect atmosphere. Wedding lights make it possible. With a little imagination and lots of fun, you'll have the perfect look for your special day!